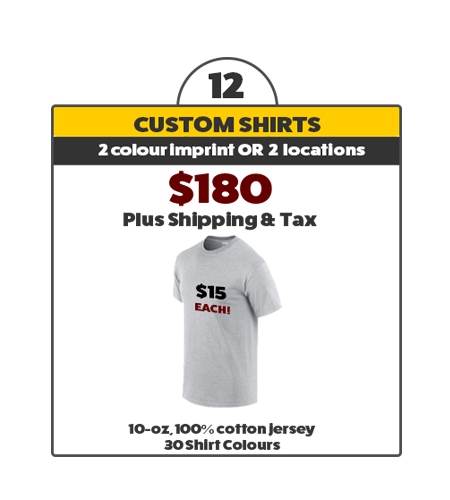 Buy custom printed t-shirts with a low 12pc minimum! We can silkscreen your logo in multiple colours on a variety of garments. We've supplied race shirts, volunteer shirts, company uniforms, team t-shirts and school graduation shirts. Let us design your custom clothing for you free of charge. 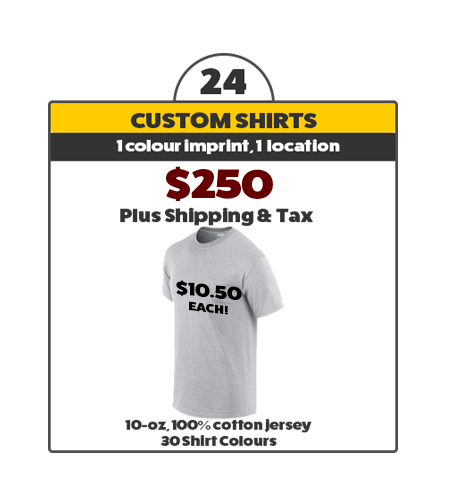 Get your order of custom printed clothing in as little as two weeks. All Clothing Is Printed In BC. This section is designed to handle simple purchases for customers in BC and Alberta. Live outside BC or Alberta? Need a different garment? Higher Quantity? Click here. After you purchase, we'll follow up with you for your art and finalize your order. 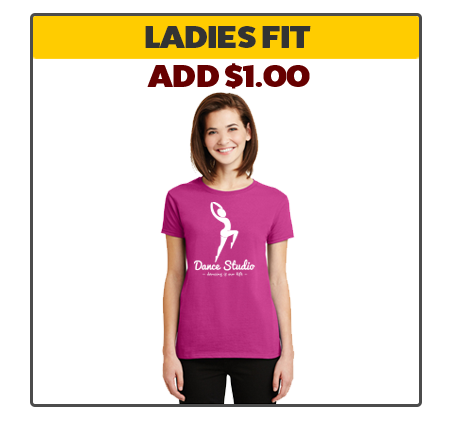 You can request a mixture of mens and ladies styles. 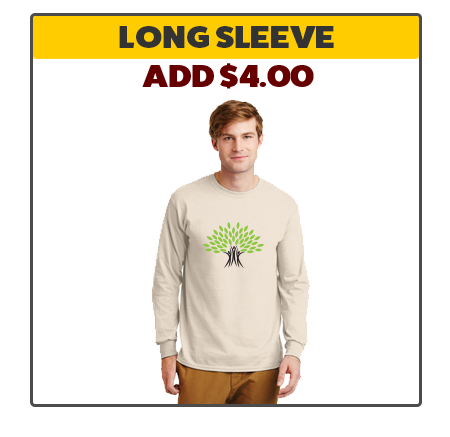 Or add long sleeves to the mix. Fill out the inquiry form below and tell us about your desired upgrades and options. Use this form to tell us more about your custom silkscreen job. We can mix and match women's and men's shirts or use different coloured garments. 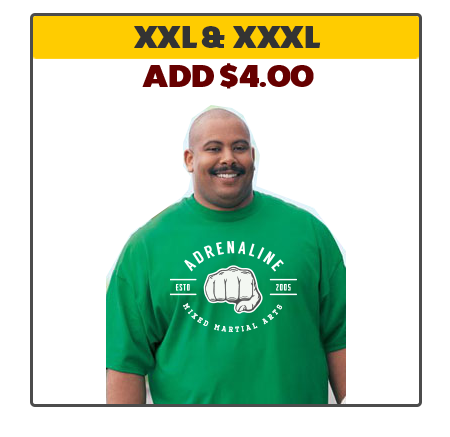 We can also silkscreen hoodies, sweatshirts, sweatpants or any other garment of your choice. 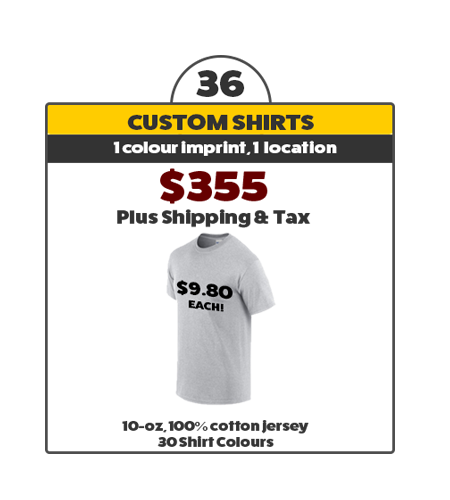 We'll provide a detailed art proof that will allow you to list your sizing and view your art on the shirt. We ship anywhere in Canada.